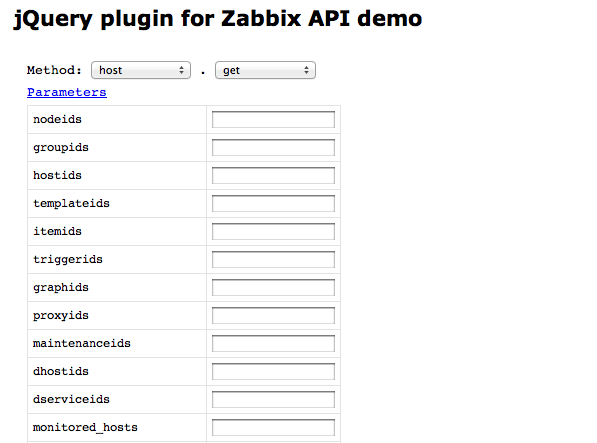 Demo application can be used for testing Zabbix API. 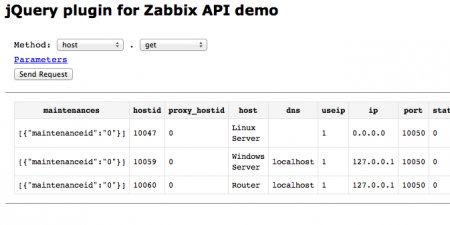 Select Zabbix API method on dropdown list. Click “Send Request”, the result of the request is displayed. 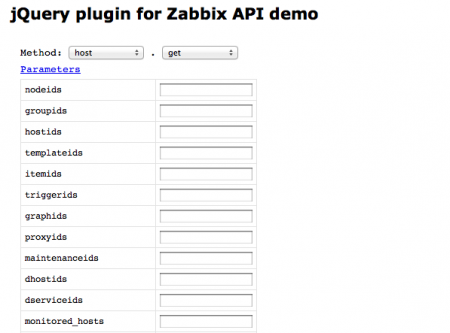 Upload jqzabbix.js and jquery-1.4.2.js to the web server. Include both of .js file in your application html file. Create object with several options. These options are optional. Followings are default value. Need to get API version and Login before using normal api method. If request is successful, API version and authentication id are stored in server property. If you need to execute some command when the function is success or error, need to specify success or error callback to these method like jQuery ajax request. 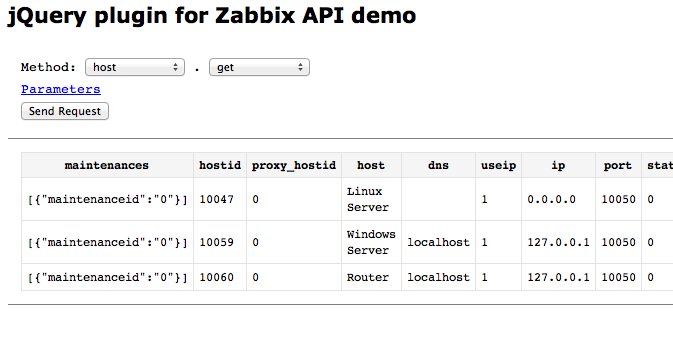 After execute getApiVersion() and userLogin() method, you can execute normal API method.